As the ultra high version, pattern 125 movable partition wall systems are made up of a series of individual partition panel with ceiling track which make it be able to slide along the track. These movable partition walls on wheels are widely used in hotels, shops, exhibition centers, exhibition center, colleges, clubs, art centers, stadium, sports centers, offices, testing center, bowling centers, schools, conference center, golf clubs, etc. 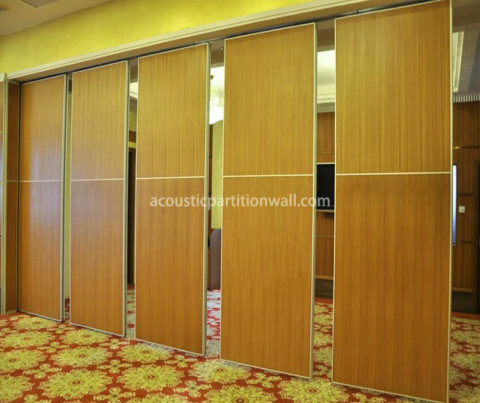 The nominal thickness of movable partition wall is 120mm. The movable partition wall panel frames are made of standard construction grade aluminum alloy. Surface panels are available in 12mm thick MDF board, particle board, gypsum board. 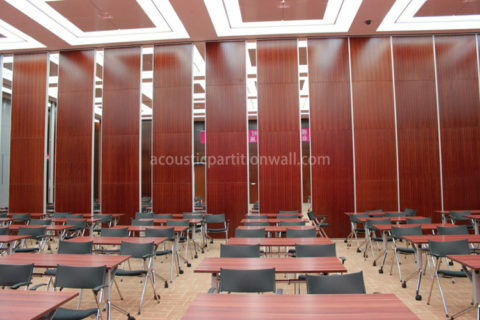 Different soundproof material infill and surface material decide the acoustic performance to meet different STC requirements. The aluminum track system is made of natural construction grade aluminum alloy. Each single suspension hanging wall divider panel has vertical metal bearing wheels on the track. Different options for track crossings can be used to meet specific design requirements. Single or dual panel suspension options to accommodate different parking layout designs and requirements. 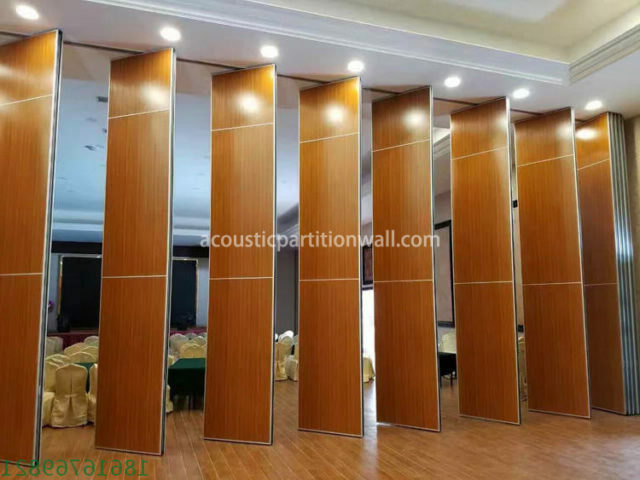 The moving partition walls finish panels are available in HPL, wallpaper, PVC laminates, fabric, melamine finishes and so on. Note: Pattern 125 movable partition walls cost is higher than other patterns, if your project is not very high. 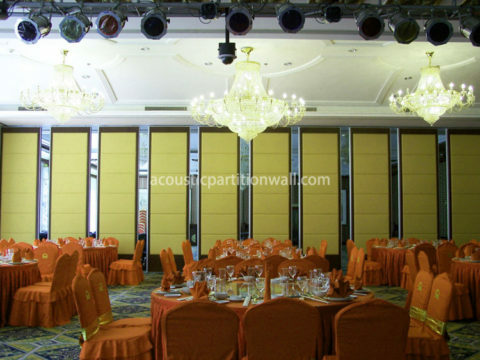 You may choose pattern 100 soundproof partition wall.